Relaxed tailored pant from the brand Mos Mosh made in a soft fabric and cut for a regular fit with mid-rise. Wear yours with a printed shirt for the office or a loose T-shirt at the weekend. 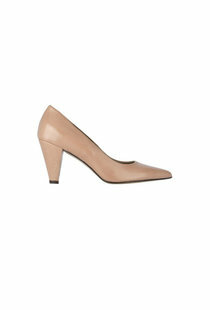 Classic and stylish pump from the brand Noë with a medium heel and pointy tip. A very comfortable fit, with an Aloë Vera-patch that nurtures the feet while wearing. The Niris pump effortlessly combines a timeless appearance with the perfect fit.